Victoria Thomas Do You Know These Wimbledon Facts? It wouldn't be summer without Wimbledon. From per diems to a hawk called Rufus — here are 10 things you might not know about Britain's favourite ball-thrashing event of the summer. There are a load of balls. 53,000 balls are used during the Championships. They're stored at 68°F and new balls are rolled out after the first seven games (to allow for warm up), then renewed every nine games. You can even buy used balls after — £2.50 for a can of three. Bargain. 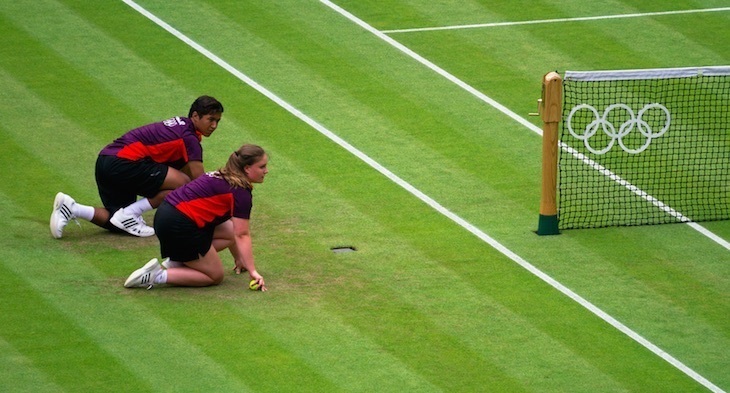 Wimbledon is the single largest annual sports catering event in Europe, employing over 1,800 staff. The average quantities consumed by punters over the two weeks include 235,000 glasses of Pimm's, 142,000 portions of strawberries and 28,000 bottles of champagne. To keep Centre Court at its best when the roof's on, eight litres of fresh air per person per second is pumped into the bowl to manage the environment. The roof's fabric is 100% recyclable and it takes a maximum of 10 minutes to close. Easily enough time for Sir Cliff to give a quick burst of one of his tunes, a la 1996. 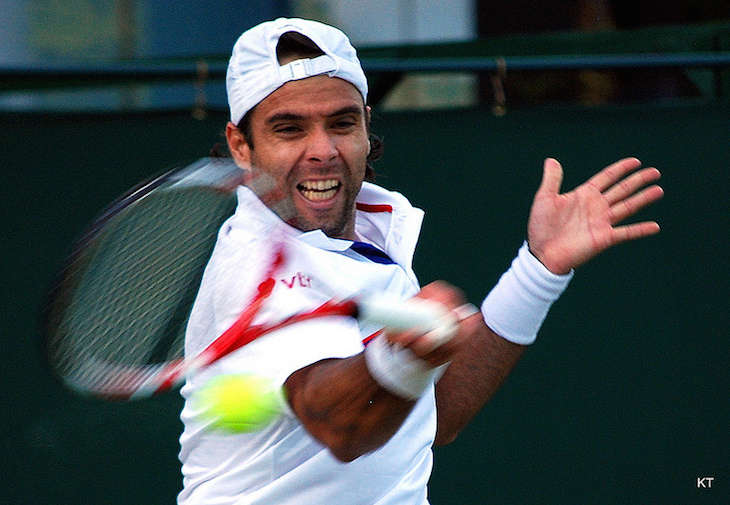 The fastest serve of all time was the swift swiping Taylor Dent at 148mph in 2010. The speediest women's serve was Venus Williams in 2008 — at a wind-whistling 129mph. The most aces ever served at one Wimbledon? That's be Goran Ivanišević, who served 213 aces at Wimbledon 2001. And yes, he won the tournament. The Championships employ around 6,000 staff including 1,800 catering staff, 305 cleaners, 700 security guards, seven ball distributors and 250 ball boys and girls. There's stiff competition for the role of ball boy/girl — over 750 apply and the chosen ones complete a rigorous training programme. 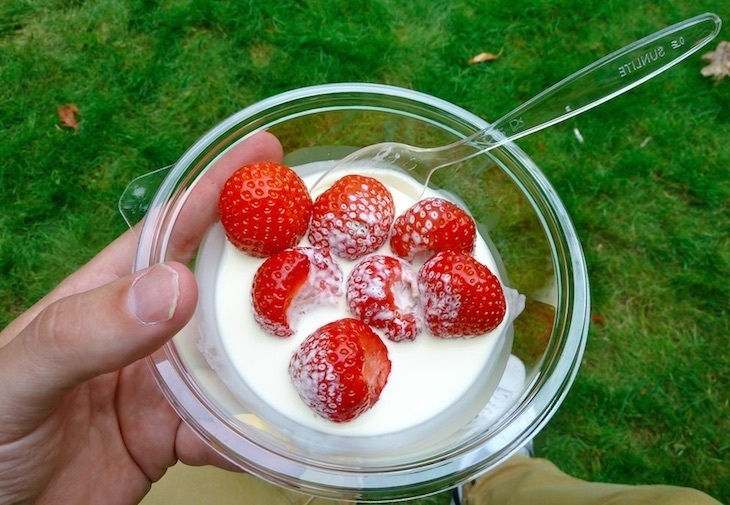 Over 8,600 punnets of Wimbledon's favourite foods are usually consumed daily. Standards are high: strawberries are Grade I Kent berries of the highest quality, and there are no less than 10 in each portion. They're picked the day before sale and arrive at the grounds around 5.30am, where they're inspected and hulled — ensuring only the most perfect make it into mouths. 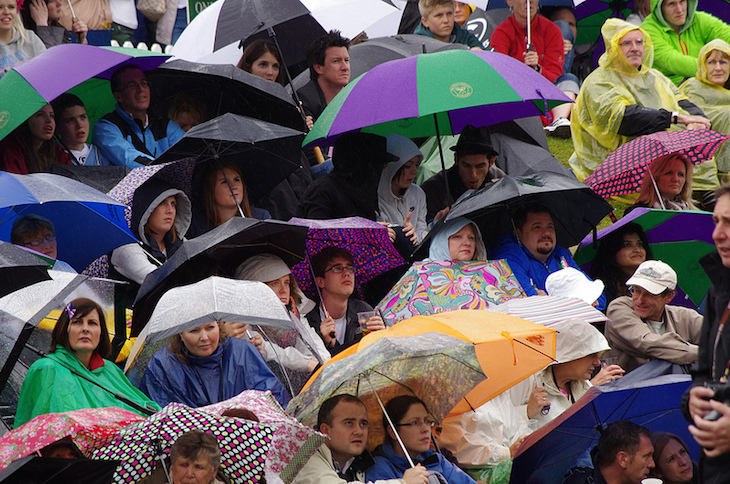 Since Wimbledon weather records started in 1922, there have only been seven championships recorded without rain interruptions. Centre Court has had its retractable rain-proof roof since 2009, so the show can go on. But play still has to wait for a maximum of 30 minutes to resume after the roof has been closed. This is to ensure that the internal environment is controlled and stabilised. Could 2018 be a rainless Wimbledon? The BBC served 24.1 million stream requests during Wimbledon in 2017, via BBC Sport and BBC iPlayer, making it the most streamed Wimbledon ever. Across the world, the games are shown in over 200 territories, with an estimated audience of 1 billion people. The 2018 Mens and Ladies Singles winners will enjoy a hefty fee of £2.25m each. If you only make it to the first round? You still get £39k. Why didn't our parents forces us to play more tennis? All facts and figures are correct as of June 2018, from the official Wimbledon website.